THE ORIGINAL LAUNDRY SOAP FOR SPORTSTERS - Don't be the one who washes their athletic gear and thinks it's clean, but starts to stink before the workout even begins. 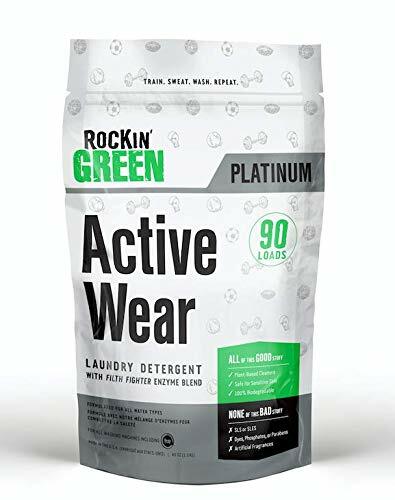 Rockin' Green Active Wear Detergent is the ORIGINAL funk-fighting detergent for your activewear. SAFELY STOP THE STINK - Stops the stink and sweat stains in your gear, and saves the planet too. No dyes, gluten free, vegan, excellent in hard water, and totally biodegradable, this natural laundry soap is safe for septic and grey-water systems.